Tania Head’s remarkable 9/11 survival story was an inspiration—and pure fantasy. “She’s the best liar I’ve ever met,” said Brendan Chellis, a member of the World Trade Center Survivors’ Network (WTCSN), after learning that Tania Head—aka Alicia Esteve Head—was a fraud. In the spring of 2003, Head introduced herself to the fledging 9/11 online support group, and captivated members with an unlikely survival story. She claimed to have narrowly escaped with her life from the seventy-eighth floor of the south tower, and also recalled an extended hospital stay, during which time doctors treated her burns and reattached her severed arm. In addition, she claimed to have lost her fiancé, Dave, when the north tower collapsed, and brought other survivors to tears with remembrances of the man she held out as the love of her life. Head’s heartbreaking story—not to mention her seemingly remarkable resilience—made her an inspirational figure among 9/11 survivors, and she went on to become president of the WTCSN, going so far as to use her own assets to fund charitable 9/11-related events. She even led tours at Ground Zero, at one point taking then-governor George Pataki, Mayor Michael Bloomberg, and former mayor Rudy Giuliani on a tour of the World Trade Center site. But by the time a New York Times reporter reached out to do a profile on her in anticipation of the sixth anniversary of 9/11, several WTCSN members were privately questioning the veracity of Head’s story. When the Times couldn’t verify any of Head’s claims—including basic facts like where she worked and where she was hospitalized, not to mention her relationship with Dave (a real 9/11 victim, who she had never met)—the paper published a front-page story titled "In a 9/11 Survival Tale, the Pieces Just Don’t Fit." In fact, Head wasn’t even in New York on 9/11; she was in Barcelona, almost four-thousand miles away. More remarkable yet is that documentary filmmaker Angelo J. Guglielmo, Jr. had, at Head’s insistence, been filming interviews with her and other members of the WTCSN, in anticipation of producing a documentary about the group’s work. 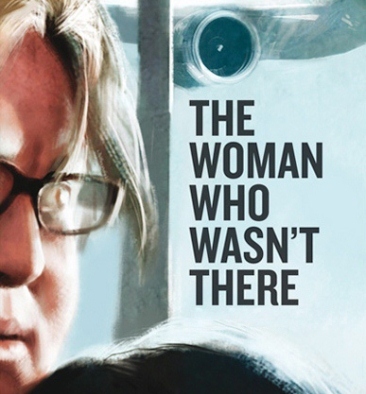 Naturally, Head’s fall from grace led him to revise the ending of the movie, which premiered earlier this month, coinciding with the release of a book of the same name—"The Woman Who Wasn’t There" (Touchstone), by Guglielmo and coauthor Robin Gaby Fisher. In the following Failure Interview, Guglielmo explains why Head perpetrated her elaborate story of deception and how 9/11 survivors reacted to her betrayal. When you began filming you didn’t know that Tania Head wasn’t what she seemed. What was your original intent? Our original intent was to do a small advocacy film about Tania and the 9/11 survivors and all the great work they were doing. I had done a 9/11 documentary called The Heart of Steel about my volunteer experience and it was very emotional and cathartic. I really felt I said everything I had to say about 9/11. Then I met Tania and everything changed. It was unbelievable that somebody could go through what she went through and still be standing up. Why did you think Tania perpetrated this story of deception? She was raised in an elite Catalonian family, which was known in the best social circles [in Spain]. She lived a privileged life and received a diamond-encrusted Rolex for her sixteenth birthday. 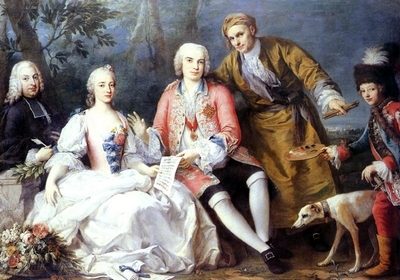 When she was eighteen, her father and oldest brother were arrested and imprisoned for being part of a Ponzi scheme [the Planasdemunt financial scandal], which shamed the family. Soon after that she was taking a trip on the Valencia coast when the car in which she was riding crashed into a wall and flipped several times. Her right arm was severed and thrown from the vehicle. Doctors reattached the arm but afterwards she changed the story of how she was hurt. In Barcelona she said the accident happened in a Maserati going 200 mph. When she was in New York she said it happened on the seventy-eighth floor of the south tower. Are you surprised her story held up as long as it did? People from the outside will look in and say, “Oh, how were they fooled. I would have been able to tell in five minutes.” But when you really understand the emotional architecture of how she entered the group [via online message board], and how she seduced people into believing there was another way of life outside the trauma, well, it got people moving. It got them out of the haze of their own trauma and they started to reach out. And at that point in time we were all looking for a miracle. The survivors, and myself as a filmmaker, were tied to the narrative that something good could come out of 9/11. I think Tania recognized that and slipped into that corridor of hope. It was almost like a drug. Her presence inspired people to throw away their own trauma and redefine their own lives by living through her as an example. So even if New York Times reporter David Dunlap hadn’t become suspicious, it was only a matter of time before her story fell apart? I don’t think she ever imagined that the character she created would become so big. The more people she met and the more relationships she developed the bigger the burden to maintain it all and remember what she said to whom. It drove her over the edge. When the Times entered the picture it was devastating to her because her world spiraled. But on some level it must have been a relief because she couldn’t handle the magnitude of the responsibility of this life that she created. It took on a life of its own that she could not control anymore. Why would anyone want to put themselves in the shoes of a 9/11 survivor? I think she wasn’t done with her own suffering. She couldn’t reconcile the misfortunes that she had experienced herself and she could imagine herself healing with the 9/11 survivors because some of the things they had gone through were similar to what she had gone through. When she said she was thrown into the marble wall of the seventy-eighth floor sky lobby that could be seen as synonymous with being in a car crash and having an arm severed. She hadn’t had a group of people who would sympathize with her in the fresh way that the survivors would. What kind of struggles are 9/11 survivors going through today? A lot of them center on Tania because she really shook them at their core. They trusted her so much and it brought up issues like: If she could lie, anybody could lie. They started looking at one another with suspicion because she took away that cushion of trust they had for each other, and it had to be rebuilt. But the struggles they have today revolve around how to deal with the past in a way that doesn’t keep them from moving forward. That dynamic of “let’s roll up our sleeves and do something great,” which Tania instilled in them, is still there. But they struggle with post-traumatic stress disorder every day. They struggle with trust. The Survivors’ Network struggles as an organization. I think Tania’s biggest sin is: How many people didn’t join the Survivors’ Network because they didn’t feel worthy, because their story wasn’t big enough? And how many people in the inner circle of the group put their own healing aside to help Tania? At the end of The Woman Who Wasn’t There Tania’s 9/11 friends address whether or not they have forgiven her. How do you feel about her? I go back and forth. I pray she is able to get to a place where she is able to ask for forgiveness, where she can understand what she’s done and can live a happy life. There are a lot of great things inside her, but there are also a lot of things that prevent her from doing well and moving forward. There is no way she’s going to be happy if she is going to continually create relationships of love and betrayal at the same time. Every day I wonder if she is going to be able to help herself. What is Tania doing today? She’s working in Barcelona, but I don’t think she’s reconciled what she’s done. She hasn’t reached out to the survivors or apologized or tried to ease their suffering or make amends. So it’s hard to figure out if she still believes her story or if she has truly moved on and been able to embrace another type of life. What do you want those who read the book and watch the film to take away from the experience? I’d love for them to be able to trust their own instincts when they hear that something is wrong to not be afraid to ask the tough questions and get the tough answers. I would also like them to ask themselves about their own capacity for forgiveness, and whether it’s possible to love someone whose actions are despicable. A Plea to the Television Gods—Joan fans try to keep the faith. 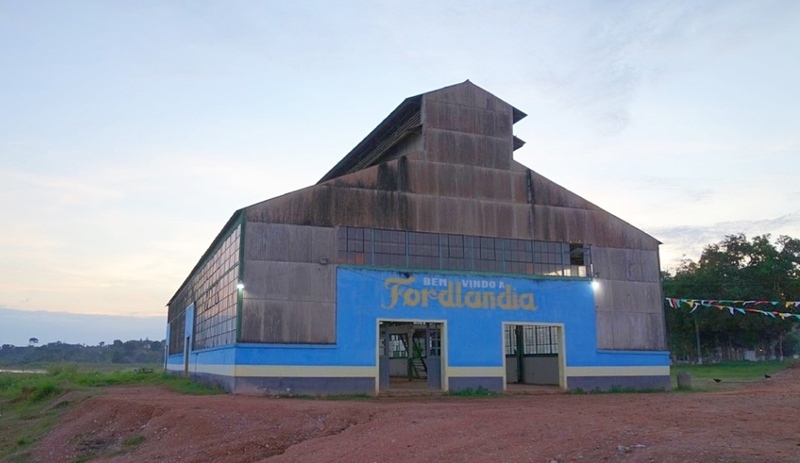 Transmissao Fordlandia—RADIOEE set to highlight conditions at present-day Fordlandia, Henry Ford’s failed jungle city in the Brazilian Amazon.